The award-winning Shamwari can take your safari in so many directions. Personal encounters in the big cat sanctuary, professional photo tours that sharpen your images, tailored activities for young children or languid hours in an opulent spa. 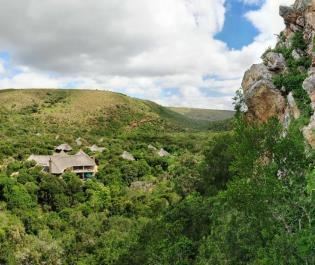 One of the largest and most impressive of the malaria-free safari destinations within reach of the Garden Route, this is a reserve that builds the itinerary around your interests and needs. On our many visits to Shamwari we’ve been exclaiming how rare it is to find a private game reserve that offers such a depth of experiences. The days can be pure adventure, remembered by the thrilling moments with elephant bulls, elegant rhinos, swooping eagles and the big cats. They can also be very calm, Shamwari providing an idyllic place to relax amongst nature when you’re on an overland South Africa holiday. If you’re on a self-drive holiday, consider Shamwari as a place to reenergise while still maximising the new experiences. If you have really specific interests, then the staff and guides are very happy to arrange tailored activities. This depth of experience also emanates from the reserve’s accommodation options. Seven distinctive lodges and camps are hidden across the reserve, enabling families and couples to enjoy a private space. Consider one night in the Explorer Camp, a redolent opportunity to spend a dreamy night in the bush, surrounded by animals, without having to leave modern comforts behind. Shamwari has played a pioneering role in wildlife conservation and has successfully reintroduced many species that were removed from the Eastern Cape area during colonialism. We’re impressed by both the abundance and diversity of animals, from endemic delights to the famous sights that a safari isn’t the same without. You’ll probably need two nights to see it all, as Shamwari is larger than most private game reserves in the area. And from past experience, we think you’ll want to stay longer given the quality of the lodges and the exacting attention to detail. Shamwari Game Reserve has recently achieved its Fair Trade Tourism certificate for its amazing wildlife conservation initiatives and commitments. In mid 2018, the reserve will be opening a wonderful new Animal Rehabilitation Centre in its centre, creating easy accessibility for all the nearby lodges. A peaceful tented lodge where you can relax in a hammock or by your private plunge pool in between exciting wildlife experiences. The style and comfort Eagles Crag evokes always entices us time and time again - the wildlife experiences are incredible, too. Gourmet food scenes, the beautiful Table Mountain, spectacular beaches, and fascinating culture - Cape Town is one of Africa's most exciting cities. We just love to indulge in a safari full of luxury and create comforts, and KwaZulu Natal's wildlife abundant landscapes are the perfect place to do so. We're sure you've heard of Greater Kruger's unspoilt splendour by now, but this popular area is full of wonderful hidden gems, too. If you're looking for a hidden retreat where you're the only person for miles amidst Africa's giants and elegant game, this remarkable area is the place to be. South Africa is full of breath-taking surprises, including the Garden Route. With private reserves, pretty towns and expansive vineyards, this is one of our favourite journeys. A luxurious and premier destination in South Africa, with indulgent vineyards, boutiques, art galleries, and luxuriant lodges. Adjacent to Kruger National Park, this beautiful private reserve marries together authentic African safari experiences with pure luxury and indulgence. 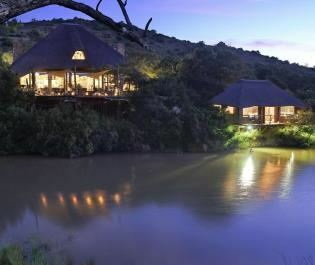 A wonderful, year round destination nestled bestween Kruger and the Drakensburg Mountains, offering pure luxury with traditional safari sights. 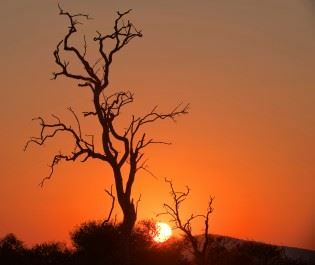 Timbavati is a popular choice for those hoping to see the unusual, from wonderful white lions, to elusive wild dog, all the while enjoying an authentic safari experience. A gorgeous hidden gem where you can enjoy a truly exclusive and secluded African safari, full of wonderful wildlife sightings. Unspoilt and naturally beautiful, this vast landscape is home to incredible wildlife, and offer the opportunity to immerse yourself in their world. Phinda Game Reserve offers the unforgettable chance to get right up close to Africa's most impressive wildlife, so close that you can hear the craggy breath of a buffalo herd. Those hoping to catch sight of elegant cheetah sprinting across beautiful landscapes will quickly fall in love with this unspoilt paradise. There's certainly no doubt that elephant lovers will enthuse about this beautiful National Park - and it's perfect for a unique self-drive safari too. This unspoilt landscape tucked into the folds of rolling mountains is home to a few gorgeous boutique lodges, adding a touch of style and charm. Close-by to the Garden Route, this is a truly magical way to add a touch of authentic safari charm to one of the most scenic routes in the world. Wildlife in abundance, incredibly luxurious lodges, exceptional guides...it's all here are Thanda Private Game Reserve. This luxurious private game reserve offers the authentic African safari experience, with a touch of exclusivity and seclusion.